“Wah meng ti, wah meng ti,” crooned Alex Chan, as he rehearsed for THI’s upcoming concert — Like a R!ot: Retro Revolution. The self-professed Hokkien song lover has watched all 10 seasons of the Taiwan drama serial, Ai. This most definitely puts him in good stead with the beneficiaries of the concert, the old folks from the Care Corner Seniors Activity Centre at Toa Payoh Blk 5. Next Tuesday, 30th April, the ‘adopted’ grandparents will attend the concert, and they can look forward to performances blending the old and new. Expect to hear a rock-and-roll version of Wah Meng Ti, complete with drums and guitars! Back for the 4th year running, the concert promises to surprise the audience with its eclectic mix of performances. “We hope it will appeal to both the young and old,” said organisers Joceline Yong and Stephanie Koay. Indeed, when Raffles Press headed down to the rehearsal today, the performing acts wowed us with their dynamic song choices. To appeal to the elderly, a stirring rendition of Wo De Ge Sheng Li (我的歌声里) will be performed by Li Xiang. 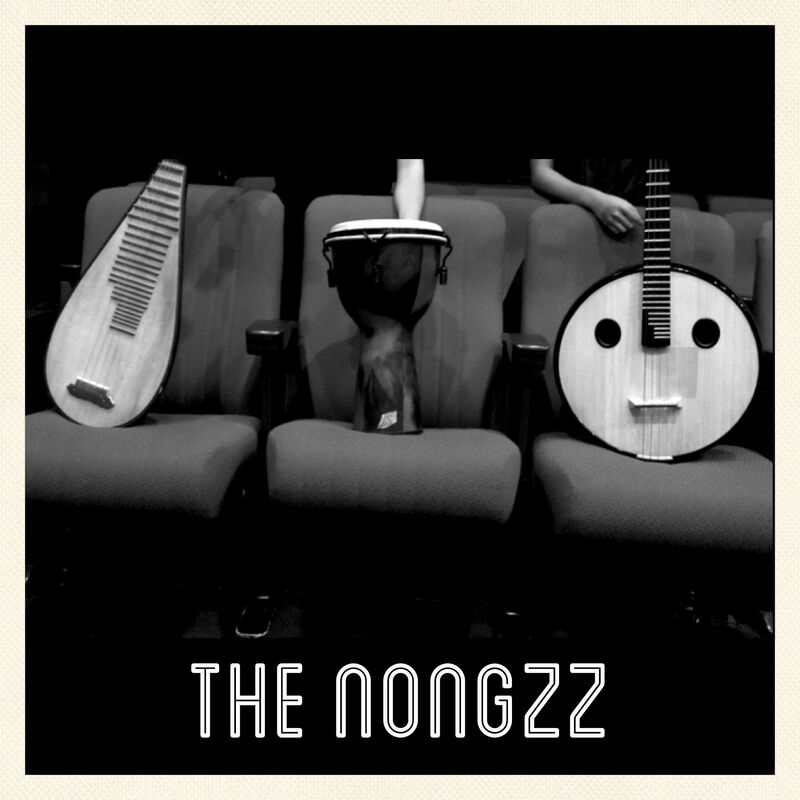 However, when The Nongzz take the stage, don’t be fooled into anticipating a mini Chinese orchestra performance. 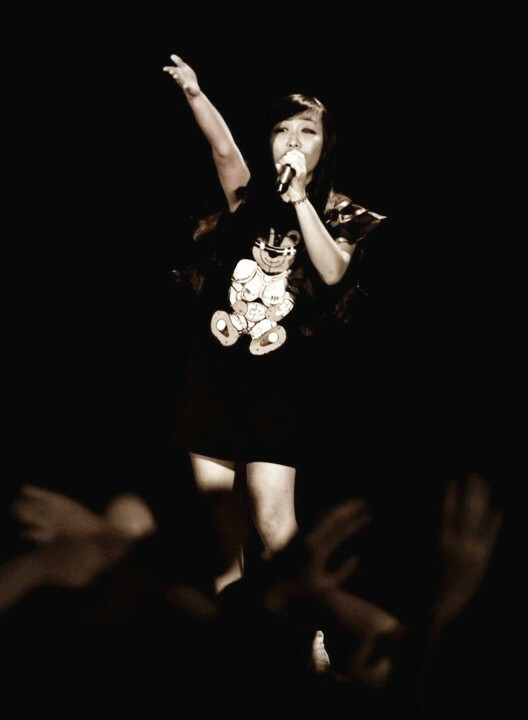 “We want to show a different side of Chinese music, with active use of percussion,” explains Rei Lim. The audience will definitely be surprised by the upbeat “fusion music” produced by the pipa, zhongruan and the African djembe drum. On a mellower note, acoustic enthusiasts will appreciate the acts prepared. 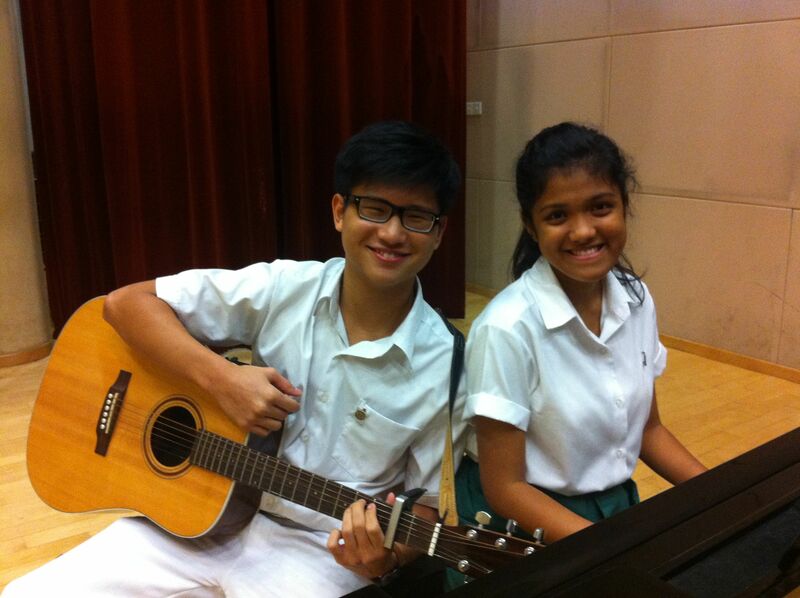 Jeremy Tan will perform To Where You Are and Danny Boy in a rich baritone, accompanied by Melissa Ng on the piano. More old songs such the Beatles’ All My Loving and Elvis Presley’s Can’t Help Falling in Love will feature in Ryan with Brad & Khai’s performance. Meanwhile, those who enjoy minimalistic sound will enjoy Jeremy and Vanessa’s duet, accompanied by a keyboard and guitar. 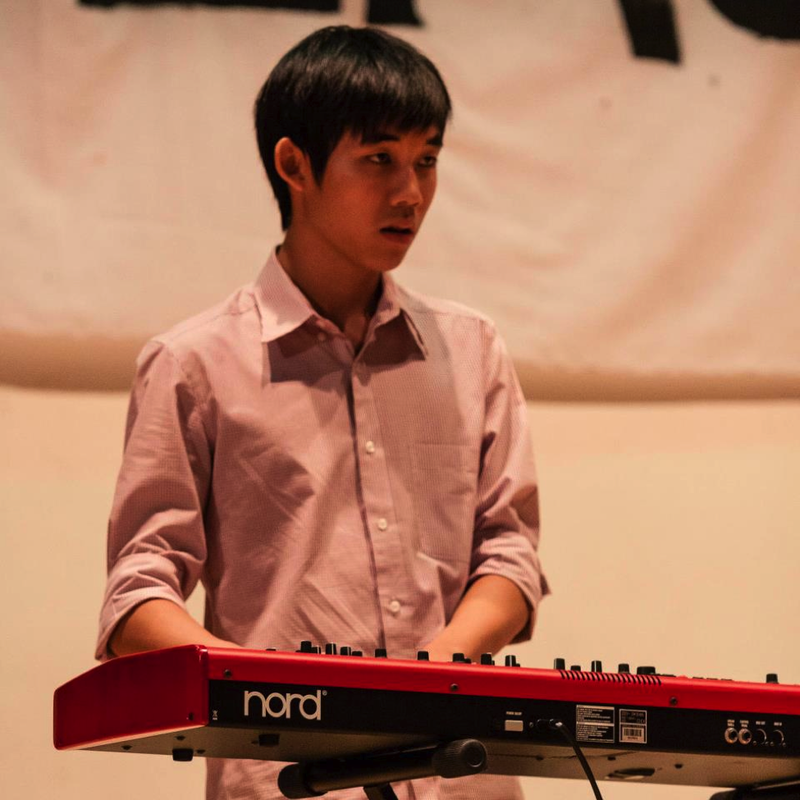 Attesting to the diversity of talents in RI, this concert will feature slam poetry by Wei Khai, and a spoken word performance by Bradley Yam. Conspiracy theorists may attempt to solve the mystery of the anonymous acapella act, as the group has declined media attention. Of course, no school concert is ever complete without rock bands to look forward to. Be prepared to witness The Rubber Band in action — the band includes Arjun Jayaraman on the drums, Darryl Laiu, Chia Yaim Chong and Nathaniel Mah on guitar, Alex Chan on keyboard and Brillia Soh and Bianche Lim on vocals. Other than Wah Meng Ti, they will also perform Daylight and Fix You. 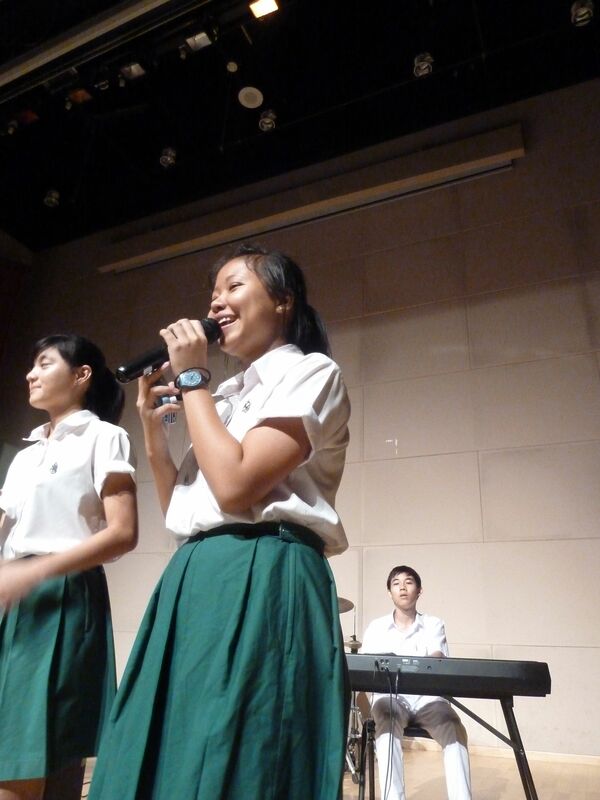 A Band From Raffles Rock will play crowd-pleasers such as Just a Fool and Geek in the Pink. Finally, catch the ever-popular After Indigo, who are sure to delight both the young and old with their set of pre-2000 songs, including Free Fallin’, Everlong and Karma Police. All proceeds from ticket sales go toward The Humanities Initiative’s beneficiary, the Care Corner Seniors Activity Centre at Toa Payoh Blk 5. The money will be used to provide meals for needy elderly, as well as the upkeep of the centre. At the centre, the seniors gather and socialise, playing games such as Rummy-O or singing karaoke! Prior to the concert, a flea market of sorts will be set up outside LT2. Revert back to all things retro: take a polaroid with your friends, buy a photo postcard, or some ‘pre-loved’ clothing. Poetry will also be written on-demand. Order your tickets at tinyurl.com/LikeARiot2013Tickets, or at THI’s booth in the canteen this Wednesday to Friday.